Hamiguitan batomys or Hamiguitan hairy-tailed rat is a new species of small rodent discovered in the pygmy forests of Mount Hamiguitan Range Wildlife Sanctuary in Davao Oriental in May 2006 by a joint team of researchers from the Department of Environment and Natural Resources (DENR), the Philippine Eagle Foundation and Chicago-based Field Museum of Natural History who were initially collecting specimens and conducting biodiversity survey in the area seeking to learn more about the region, which is also home to the globally endangered Philippine Eagle, the county's national bird, that led to the discovery of the new species. 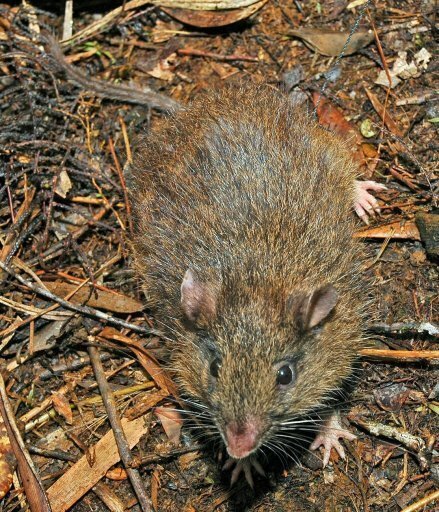 Weighing about 175 grams (6.2 ounces), this yellow-brown rodent with a long furry tail thrives only from an elevation of 950 meters (3,117 feet) in dwarf mossy forests of areas less than 10 square kilometers (3.9 square miles), and is the first mammal to be described from Eastern Mindanao and the only mammal that is known to exist solely on the island. Most mammals unique to Mindanao were described from Mount Apo, the country's highest peak, or Mount Kitanglad. The new species is described as small with a stout body, having large eyes and ears, a broad head, and broad hind feet. The tail is much shorter than the length of head and body, with only a thin covering of hair. The fur is rather short and somewhat coarse, yellowish-brown on the upper parts, grading to grayish buff on the underparts. There is a narrow ring of bare skin around the eye. It belongs to the family Muridae and is related to the four known species of the genus Batomys found in the country: the species Batomys salomonseni in central Mindanao; the Batomys russatus in the neighboring Dinagat Island; and the species Batomys dentatus and Batomys granti in the main Philippine island of Luzon. The Philippines has one of the largest numbers of unique species of mammals in any place in the world where over 125 mammal species are known to live only in the Philippines. 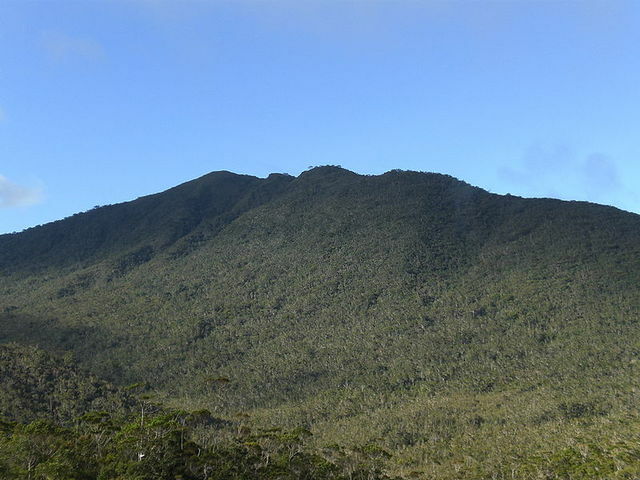 Mount Hamiguitan in Davao Oriental where the new species was discovered is also the country's largest pygmy or bonsai forest, and is considered a biologically unique part of the Philippines. It is located in the southeastern part of Mindanao, with a height of 1,620 meters (5,314.96 feet). It occupies the land area within the political boundaries of Mati, San Isidro, and Governor Generoso in Davao Oriental. The mountain and its vicinity has one of the most diverse wildlife populations in the Philippines. Among the wildlife found in the area are Philippine eagles and several species of Nepenthes, some of which such as the Nepenthes peltata, are endemic to the area. The mountain has the only protected forest in the Philippines with an estimated area of 2,000 hectares. This forest is noted for its unique pygmy forest of century old trees in an ultramafic soil with several endangered, endemic and rare species of flora and fauna. It is home to five endangered species, 27 rare species, 44 endemic species and 59 economically important species. These include the golden-crown flying fox, Philippine tarsier, Philippine warty pig, Philippine brown deer, Philippine Mossy-pygmy Fruit Bat, and the Asian Palm Civet. The Mount Hamiguitan Range Wildlife Sanctuary, with a total surface area of 6,834 hectares (68.34 square kilometers), was declared a national park and wildlife sanctuary in 2003. In 2009, the provincial officials of Davao Oriental submitted the park for listing as a UNESCO World Heritage Site.